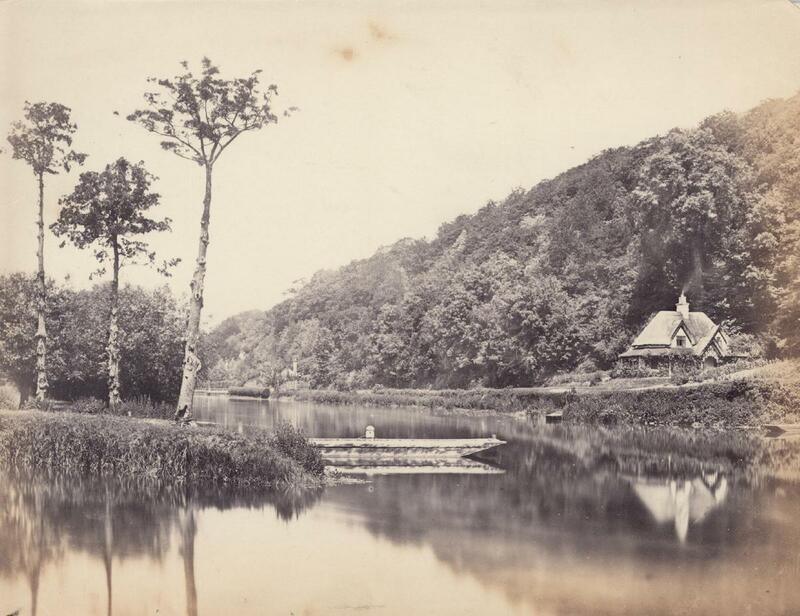 'At Cookham' - Sepia photograph of the River Thames at Cookham showing the woods of the Cliveden Estate. The large punt may well have been the horse ferry for My Lady Ferry. Photographed by Henry Taunt c1870.